Here at Abstract Fiber we’re busy getting ready for SOAR. We’ve got some fabulous new colors including Summit, Lagoon, SOAR, The Gorge. The next best thing to being at SOAR is our SOAR colorway, the color of Autumn leaves. Available now at abstractfiber.com . Have you been to the Forbidden City, Amazonia, Monte Verde or perhaps Sedona? Whether you have visited or long to go, you can knit with the colorways inspired by the great journeys that we call our Travelogue Series. Frothy Niagara or mysterious Styx will be perfect in the projects that call for something just a little MORE than a semi-solid. Try them in Polwarth/silk, cashmere or good old Blue Faced Leicester. 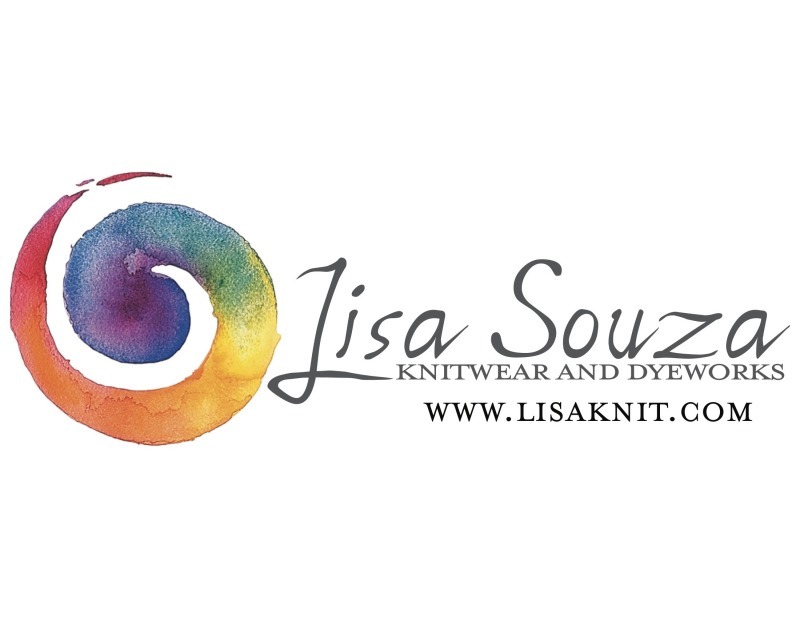 Lisa Souza Knitwear & Dyeworks; find us at www.lisaknit.com. This week, Jasmin has started the Baby Wrap Sweater, a Church Mouse Design, out of Froebe Fibers, one of her treasures from Camp KIP, in Dandelion Wine and Blue Hawaiian. She is also working on the Polo Match cowl from Cowlgirls Knits in Punta Yarns. She also has unearthed her Cassidy out of the UFO bin and is making good progress. This week, Gigi has finished knitting the Ophidian, and is working on the Sothia, but all the garter stitch is getting to her. She has started the Odelia by Cocoknits out of Tess Yarns Cultured Silk and Merino yarn in a dark gray. Has also started the Celeano by Romi Hill out of Cascade Heritage Silk in a cheerful apple green, and is using Superfloss to string the beads for this project. Also, Gigi is sewing on the gros grain ribbon for Jasmin's Garter Yoke cardigan. Care and storage of handknits: Wear something under your hand knits, so skin oils do not get onto the garment. Air out items between wearings. For between season storage make sure sweaters are washed, body oils attrack insects. 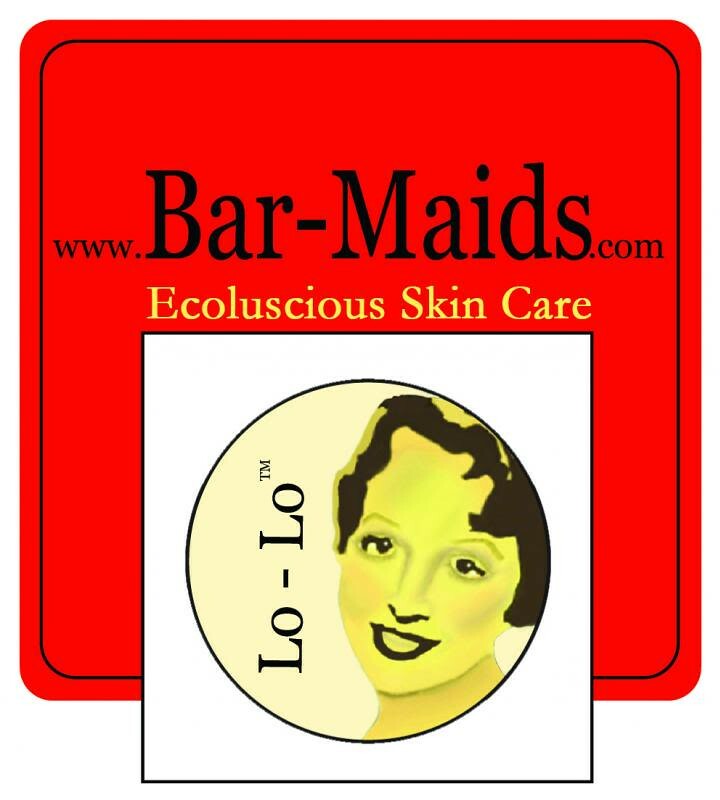 Gigi puts her hand knits in the washer on the hand wash cycle and uses a ph balanced shampoo. Jasmin doesn't trust her washing machine with her hand knits and instead washes them by hand with Soak. Then she puts them out on the patio onto Sweater Dryer racks. Once the items are bone dry, she tosses them into the dryer for no more than ten minutes to firm up the knits. For storage we quoted Paula, from Knitting Pipeline who hands her little shawlettes on hangers. This works only for small items, because bigger knits tend to get stretched at the shoulders and get hanger bumps. Jasmin's knits live in drawers. Knits should not be kept in plastic bags, they need to be able to breathe. For long term storage and moth prevention, we use cloves. The smell of cloves does not tend to bother people, whereas lavender sometimes bothers others. Jasmin started the Baby Wrap Sweater twice. She had started it out of some pinkish yarn and some pink and white and purple yarn, and even sitting in time out didn't make it more contrasting. The story is set in Cypress Hollow, like her previous books. This book also had a knitting pattern, this time designed by Romi Hill. It is a lace shawl. We like the book a lot and think that Rachel should write more books, fast, because we really like reading her stories. Gigi has started spinning again. She is working on a braid of Corriedale. Jasmin is spinning some more for Andrew's sweater. Jasmin answers the question: How to spin for a sweater without getting bored. So she spins 1 oz at a time onto plastic bobbins. She suggest to use a bobbin winder, either as a personal purchase or as an item for your local guild to purchase. Living locally? Rent time on the bobbin winder at Purlescence. Thanks for another great podcast! I laughed a little today while listening to this podcast because I work at See's HQ and was listening while I was working on purchase orders this morning....so needless to say thanks for the plug! Thanks for the great podcast, and for mentioning our yarn! I'm so glad you like the yarn, and the baby wrap looks amazing!!!! Another wonderful podcast. I love hearing from you. Remember, prior to the industrial revolution, nearly everybody worked at home, or close by. I enjoyed your comments on using inexpensive bobbins to store singles. I know you don't like "homemade" tools, but for those who don't have the money for a bobbin winder, and who have qualms about acquiring 30 or so bobbins which they may, or may not, use more than once, may I point out the delights of toilet paper tubes. I cut them to fit my ball winder, tape them up with painters blue tape, and wind my singles on them. I have a virtually unlimited supply, they are free, require no specialized tools to wind unless you want to use a ball winder, and you can even write on them (to number the singles, indicate fiber content, or whatever you want to say). I'm not sure I will ever purchase bobbins or a bobbin winder. I'm not even sure I will ever spin enough yarn for a whole sweater. Your podcast is very encouraging. At least it makes me think I could do these things.